This statement is so true. I surely won’t forget this amazing retelling of Cinderella. I’ve heard so, so, so many great things about this wonderful series, “The Lunar Chronicles”, and I was extremely curious to find out if it really worth all the praises. And guess what? I was so upset that I haven’t started to read it sooner because it was fantastic! 'Cinder' climbed up, right away, in the top of my favorite books of all time. Even though it is said to be a Cinderella retelling, don’t expect them to be really similar because this surely isn’t the ordinary tale of Hans Christian Andersen’s Cinderella. There aren’t too many correspondences between those two, there are just a few similarities, like: the fact that Cinder (Cinderella) is the protagonist, who lives with her step-mother and two step-sisters; the ball night, at which she was forbidden to attend by her stepmother, but she managed to join in and danced with the prince and the scene when she ran down the stairs and lost her shoes…well her leg in Cinder’s case :) ..but I’d better stop from giving you any more spoilers…Anyway, that’s where the similarities stop because our Cinder is a cyborg, who lives in a futuristic New Beijing and works as a mechanic and has a good friend, which is a robot and it’s named Iko…so yeah, it doesn’t sound like the fairy tale I remember. What makes this book memorable is - besides the setting, which I love (a dystopian, future Beijing) and the lovable characters- Marissa Meyer’s writing style, which is great –really beautiful descriptions and funny dialogues. There were moments when I’ve laugh and some when I’ve cried, others when I’ve sit on the edge of my seat wondering what’s going to happen, but I have to admit that there were also times when the plot was so predictable, but that didn’t spoiled the fun so I enjoyed every page, every moment “spent” together with those memorable characters. Like I said before, the setting was great, the story taking place in the future, in Beijing, where people are searching desperately for a cure against the deadly and mysterious plague which took over the world. The androids, cyborgs, alien race, which is living on the moon (the Lunars), hover cars and more awesome SF stuff aren’t missing from Meyer’s world either, a complex and very a well-built world, which is simply amazing. As for the characters, I love Cinder. 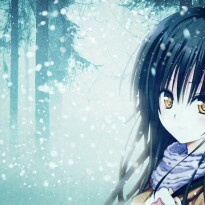 She is such a great protagonist. I like the fact that she is a mechanic –is not something I would have expected her to be-, she is confident, strong, smart and beautiful at the same time, and the best of all, she is a cyborg…I mean, how cool is that, right?..Well, I guess not for her, because of that she is rejected by society, but I appreciate how she manage to not to care what others think about her. Additionally, she has a mysterious past, which intrigues me and makes me want to find more about her. What about the prince? Yes, yes, a fairy tale retelling should also have a handsome and nice prince. What I can say about Prince Kai is that he is adorable, I like him. Even though he is a prince and she is just a simple mechanic, he is really nice with Cinder, and I think that they would make a great couple in the end. But don’t expect too much romance between them, at least not in this volume, because I think that romance doesn’t really play a key role in this story…yet. And…a Cinderella retelling wouldn’t be complete without the presence of a villain, Queen Levana, who possesses powers that allow her to control minds…hmm, she kind of reminds me of the queen from Snow White in the way she wants to be the most beautiful woman as well. 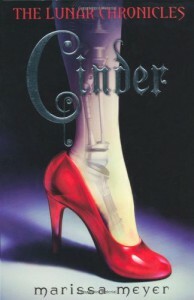 Overall, ‘Cinder’ by Marissa Meyer is a must-read. I recommend it to anyone. It’s an enjoyable read and a perfect beginning for a new great series. I can’t wait to read the rest of “The Lunar Chronicles” series, so I’m going to start ‘Scarlet’, the second book of the series, right away. Why are you still here? Go and read it, too! !